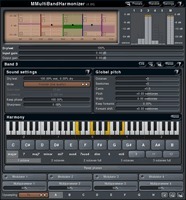 MMultiBandHarmonizer, Pitch Shifter / Time Stretcher from MeldaProduction. New week starting, new plug-ins for sale at MeldaProductions who divides the price of 5 new processors by two. MeldaProduction lowers the price of all its spectral effect plug-ins in september. 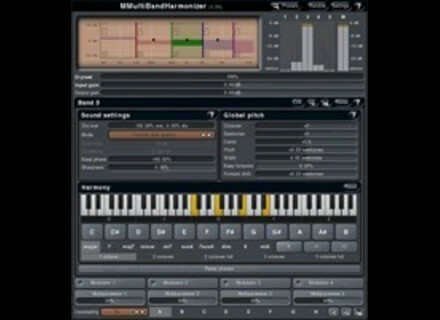 MeldaProduction has released MMultiBandHarmonizer and updated all its other effect plug-ins.